Tim Lasiuta Reviews "Nick Cardy: The Artist at War"
Treasure comes in small packages. This is the case with “Nick Cardy: The Artist At War” by Nick Cardy and Renee Witterstaetter. Measuring in a 6 x 9” format, hardbound and profusely illustrated and annotated, “Artist At War”, is a compelling tour de War. Nick Cardy, Nick Viscardi, to most comic readers, is closely associated with DC Comics Teen Titans, Bat Lash, Aquaman, and a host of other titles. His unique style immediately identified his work, and thusly, helped define the bronze age of DC as much as Joe Sinnott defined the Marvel age. This book is not about that. “The Artist at War”, is truly that. An alternate title might be “Scenes From War”, but Renee and Nick have chosen well. 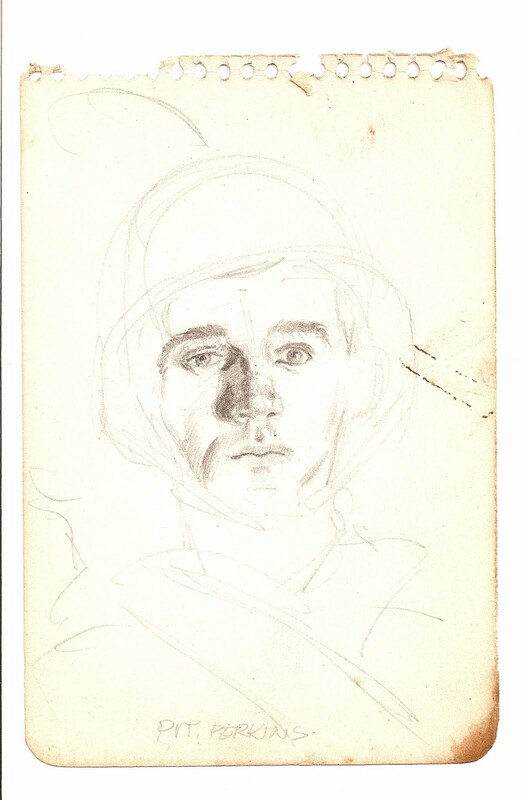 Already a published, accomplished, working artist Nick was drafted and served in the 66th Division, later he served as an Assistant Tank Driver. 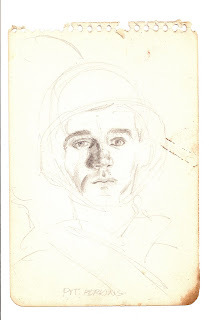 Other than the horrors of war, Nicks’ constant companion was his sketch pad, pencil, and brush. Off and on duty, post and pre VE Day, the artist’s eye captured scenes to be put to paper, sometimes from memory. Even on the operating table, he was contemplating a picture! Now, that is an artist. What you hold in your hands is a book that is like no other. This is real. The scenes represented on the pages, Nick saw, recorded, felt, and smelt. In his minds’ eye, he can probably tell you what happened after and who was around him. He can tell you the temperature, and hear the sounds. Photographs are that way. For Nick, and us readers as we absorb the text around the images, we too can be there. As a bonus, a CD of candid interviews with Mr Cardy is included. If you are so lucky, Renee and Nick will sign theirs. The sketch edition would be the book of choice though. Thank you Renee and Nick. Hi Everyone-- Just back from a fantastic time in Albuquerque for the Comic Expo (ACE), and an amazing time was had by all, in this land of beautiful sunsets. Sadly, I didn't have much time to explore, but I did go to Old Town, visited the Albuquerque Rattlesnake Museum, had some wonderful food,and spend time with some great friends. 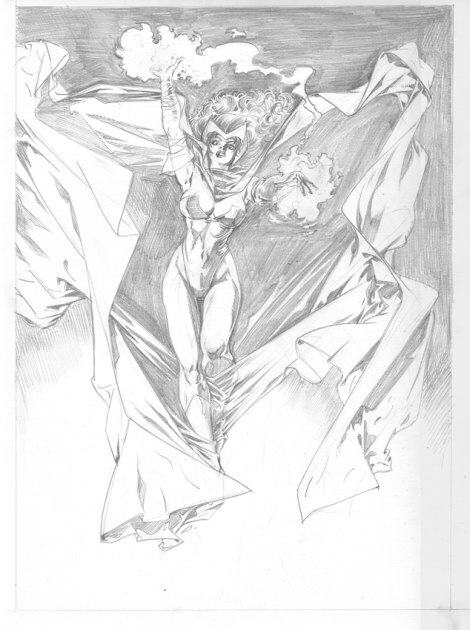 With Eva Ink, we had Michael Golden, Mark Texeira, Joe Jusko, Steve Scott, Minck Oosterveer and Rodney Ramos with us, completing our wonderful guest line-up. (I was there too, signing my new books!) Other friends were also there like talented guys Berni Wrightson, Gene Ha and Tony Harris. Again, thanks to one and all for a wonderful show! ACE's Wild (Albuquerque Comic Expo)--Eva Ink has a Full House! Hey everyone, the Albuquerque Comics Expo starts this next weekend, June 24-26th. And Eva Ink Artist Group will be there with a FULL HOUSE of great talent. And so many more! Hope to see you at the show! My Kingdom for a Teleporter! : Calgary Comics Expo and Wizard World Philly Start this Weekend! Coast to Coast! Golden, Scott and Jusko in Calgary AND Oosterveer in Philly! Philly/Calgary-- Well, we don't expect you to go to both shows really, but you could! Yet... even if you decide to only hit one, this weekend is offering up two amazing shows: The Calgary Comics Expo and Wizard World Philly. And we've got great artists in both places! The Calgary Comics Expo is welcoming back acclaimed artist Michael Golden for his second appearance at this fast growing convention. Michael is the co-creator of Rogue and many other characters. His stellar storytelling work can be seen in "G.I. Joe," "The 'Nam," "Doctor Strange," and much much more. 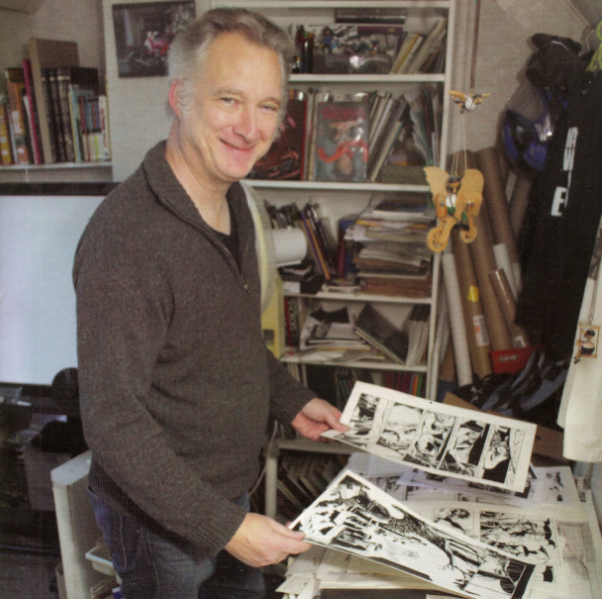 He is currently working on several projects for IDW and DC Comics. 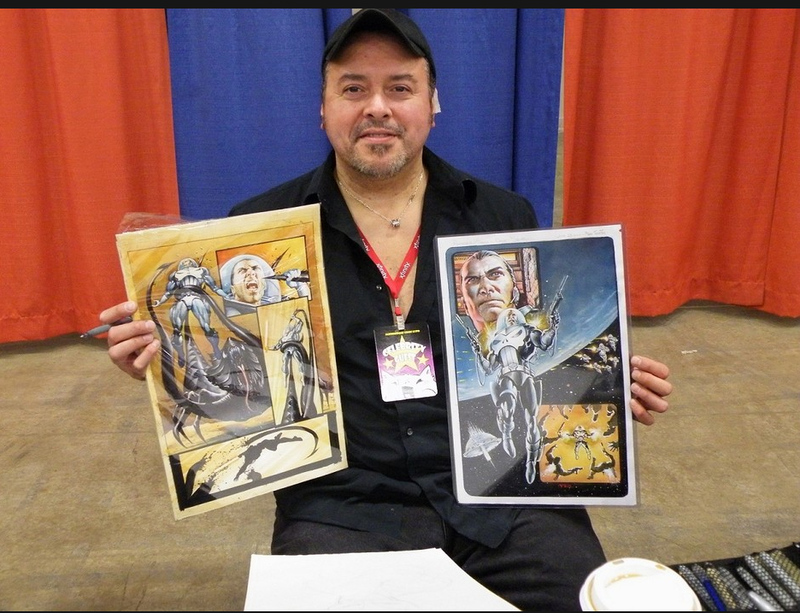 Michael will be joined by Batman artist Steve Scott, who will be making his first appearance at the show. Steve's four issue Batman story arch is on it's second issue-- to amazing reviews-- joining his credits of pencil work on such characters as X-Men, She-Hulk, Hulk, Razor, as well his production art on the television show "Smallville." Each year, the fine folks that run the Calgary show publish a collectible book to commemorate the event, a portion going to charity. This year, Golden, Scott and Mark Texeira (who will attend the show next year), all have pieces in the hardcover volumne. Be sure to pick one up and bring it by their tables. As well as signing their book, you'll also receive a discount on some of their merchandise from Eva Ink Publishing. Other folks scheduled to be in Calgary include: Joe Jusko (Come see his new John Carter of Mars paintings! ), William Shatner, Felicia Day, Summer Glau, Jonathan Frakes, Mike Mignola, Tim Sale, Neal Adams, Jimmy Palmiotti, Rick Remember, Amanda Conner, Todd Nauck, Gail Simone, Renee Witterstaetter, and too many to list here! As for the East Coast, we certainly haven't forgotten you, as Wizard World Philly marks the first ever US appearance of artist Minck Oosterveer. 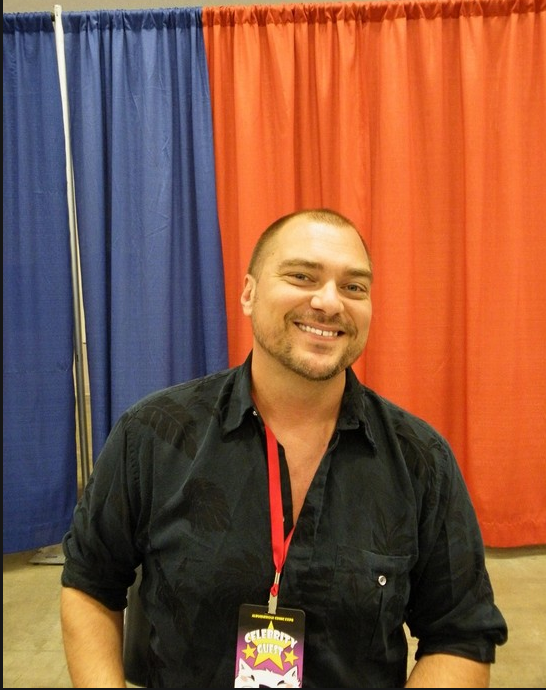 Oosterveer is known for his work on "The Unknowns," "Zombie Tales," "Nicky Saxx," and currently on "Ruse" and a Spider-Man project for Marvel Comics. Minck is also providing an exclusive Buffy print that is part of the Buffy VIP package for Wizard Philly. This limited print is also available at Minck's table in artist alley while supplies last. Talk to Constance at Minck's table for more information. Joining Minck in Philly is another great line-up of guests as well including Bruce Campbell, Julie Benz, Adam West, Billy Dee Williams, Bill Sienkiewicz, Doug Braithwaite, Arthur Suydam, Greg Horn, J.G. Jones, Ethan Van Sciver, Blond, Tommy Castillo, Jim Cheung, and the list goes on. Basically, no matter which show you find yourself at, you just can't go wrong! Join renowned "Nikky Saxx" and "Zombie Tales" artist Minck Oosterveer for an informal interview with comics editor extraordinary, Jim Salicrup for an event filled evening at MoCCA, as Minck discusses the difference, similarities and enjoyment of working on European and American comics, his illustrative career in both, as well as his recent work as the penciler on "Ruse" and Spider-man at Marvel Comics. 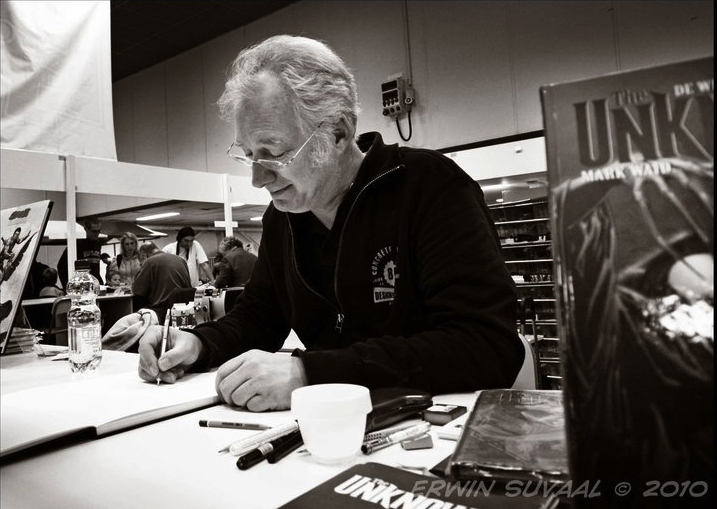 Following the interview, Minck will give a sketching demonstration. The evening also includes raffles for merchandise from Eva Ink Artist Group (www.evainkartistgroup.com)-- Three tickets for $5. All proceeds going to benefit MoCCA. As well as a special print available just at the event. Stay around for refreshments, mingle, and enjoy this unique opportunity for a cross cultural exchange with a consummate comics professional, and view some amazing artwork and originals at the same time. Note: This event at MoCCA on Tuesday, June 21st, is part of Oosterveer's first US tour, He'll be appearing at Wizard Philly June 17th-19th and then at the Albuquerque Comics Expo June 24th-26th. To say that Minck Oosterveer is a "zombie" artist is true enough... but is far from fully describing this wonderful talent! In fact, the award-winning artist is known world wide for a plethora of comic strips, movie work, and sequential art. Most notably here in the United States for such books as "Zombie Tales" and "The Unknown" with writer Mark Waid! Growing up in The Netherlands (Holland) with European comics, he soon developed a strong interested in American comics, especially the newspaper comics of the 1930s-50s. It was the pulp-ish, direct style and the usage of black and white in realistic artwork that attracted him the most. Film Noir as it were. In fact, Oosterveer's work is strongly influenced by Milton Caniff, Alex Raymond, and Will Eisner. After working for a studio on productions like 'Tom & Jerry', 'Sesame Street', 'Paddington', 'Ovide' and 'Spider-Man', Minck Oosterveer moved more in the direction of another stylistic forte, working with Willem Ritstier on the series "Claudia Brücken" for the Franco-Belgian publishing-house 'les editons Lombard' and Tintin-Magazine . The collaboration with Ritstier resulted in a daily newspaper comic in an American style, "Jack Pott", published in the Dutch newspaper "Algemeen Dagblad." Since 1996 Oosterveer worked again with Willem Ritstier on the newspaper comic "Zodiak" for De Telegraaf, and series "Rick Rolluik" for Suske en Wiske-magazine, and "Arachna" for ComicWatch-magazine. He did the art and story for the comic "Excalibur", published by Enigma and artwork for a successful animated movie, '"Mario A". In 2002, Oosterveer and Ritstier started a new daily comic strip in De Telegraaf, called "Nicky Saxx", one of their most successful comic-series. This was followed by a comic-series entitled "Trunk" (2006), which debuted to critical acclaim. 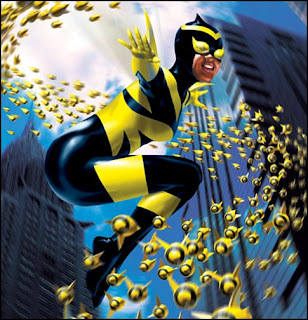 Next they teamed up (2007) as writer (Ritstier) and penciller (Oosterveer) for "Storm", a successful European comic series created by Englishman Don Lawrence, and started a new western-comic, "Ronson inc." for the legendary Dutch comic-magazine "Eppo"
Minck Oosterveer debuted in US-comics with the aforementioned "Zombie Tales/ Zaambi" written by Cris Morgan and published by BOOM!-studios. 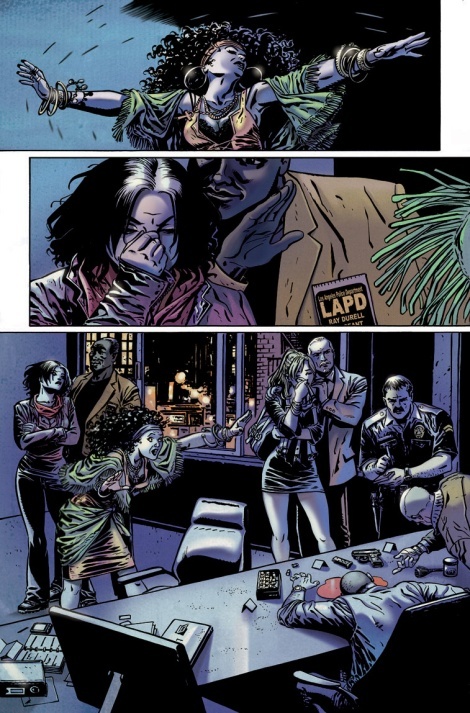 Early 2009 until 2010 he collaborated with American writer Mark Waid to draw the mini-series "The Unknown" and "The Unknown: The Devil made flesh" which where published by BOOM!-studios as well. He is currently working on two projects at Marvel Comics, which include "Ruse" and a Spider-man island adventure, neither to be missed. Hope to see you all at MoCCA for this evening with Minck Oosterveer and Jim Salicrup, Tuesday, June 21st. Review: "Spider-man: Turn Off The Dark" on Broadway--Throwing some Light on the Subject! Note: If you haven't seen the "new" Broadway musical, "Spider-man: Turn Off the Dark," and intend too, stop reading NOW. If you don't care, read away, but be warned, there will be spoilers. In fact, I tell you everything! There are two shows I've seen on Broadway that I can honestly say I hated beyond a shadow of a doubt. The first was "Starlight Express." My parents were visiting New York in the late 80's and we left during intermission. The second was "Rock of Ages," more recently. The music was good, or at least nostalgic, but the plot was just a clothesline to tie the songs together. There might be a third if you count that I fell asleep during "Cats." So, that puts this review into perspective. One: I probably don't like Andrew Lloyd Weber (It's true. His events contain one good song that the whole production hinges on. The rest pure pap.) Two: I like a good story that holds my attention. During the first act of "Spider-man: Turn Off the Dark," I was 90% sure I'd have a fourth candidate for my all time worst musicals. I knew we were treading dangerous ground as soon as the show started. The crowd was electric with excitement. Little kids...and a few adults.... were sitting on the edges of their seats. The air crackled. Those hopes were dashed quickly when the curtain opened, to a solo Peter Parker (played by Reeve Carney), who is delivering a speech to an unseen class. Immediately, we are taken into a Greek tragedy out of nowhere, lamenting the pride and fall of a character called Arachne. Although this scene comes out of nowhere and is shoehorned into the story, making absolutely no sense, and serving no point in the plot (and actually dampening audience anticipation), I will say that the visuals and the staging invention of "The Myth of Arachne," are the only point in the whole show when I see a glimpse of the genius that Julie Taymor showed us in "The Lion King." I had hopes... for a second. As the show progressed,however, my first thoughts were. "How much did this show cost? Really!" As you probably know, it's said to be one of the most expensive productions in Broadway history. Wherever the millions went, my friends, it did not go into the sets. This is one of my major disappointments with the show, as real characters are propelled through a series of worse than Toon-Town sets, distracting from any angst or emotion being portrayed, and dumming down the whole experience. Real people sitting at slanted card board cut out tables, with cross -hatching because they want the sets to look like "comic books," does NOT cut it, folks. I think my other major annoyance with Act 1 is in the scene were Viper Execs visit Dr. Osborne to strong arm him into thinking their way regarding funding-- funding that also includes creating a super army. How many times people, are you going to be unimaginative enough to use goose-stepping soldiers to show "evil intent?" I'm just well.... kind of sick of it. Think of something else, okay? I know you think it's shorthand. But it's not. It's lazy. Aside from the inventiveness of the useless Arachne scene, the only other medium high point in Act 1 is during the "Bouncing Off the Walls," segment in which Peter uses his new Spidey powers and gets back at the bullies at school. The use of fake wobbly legs, puppetry, and staging of the fight scenes, is again, meant to be "comic booky", but still at least it's fun to watch. Sigh. That was Act I.
I thought it couldn't get worse. I was wrong. Oh my GOSH! Again, with the outlandishness that bogs this production. I am trying to find the adequate ways to describe to you my feeling when the Sinister Six (comprised of Carnage, Electro, Kraven the Hunter, The Lizard, Swarm, and inconceivable Swiss Miss) join the newly formed Green Goblin (aka Dr. Osborne). I know for a fact that I actually groaned. I may have also hit my head with my hand in disbelief. In Act I, there was the fight scene with a wrestler in which Peter wins a pile of cash with his super powers. Yes, he's meant to be able to blow over his opponent sure, but the wrestler is actually.... a BLOW UP doll. It's campy, but I let it go, you know, at that point....hoping it would get better. I'll go on record now saying that the costumes for the Sinister Six are the worst costumes I have EVER seen on Broadway. I can only assume they were stolen from the Macy's Thanksgiving Parade: Gigantic heads, blow up body parts, cartoon expressions. The Lizard, which if it had been done with the amazing puppetry we've seen in other productions, would have rocked, instead looked like a cartoon character, stuck in the middle of a dinosaur pool toy. Note to the Director: Your villains are not that affective if it looks like they can be defeated with the power of a stick pin. Problem is, folks, as much as I may have liked the portrayal from time to time, this wasn't the Green Goblin. This was The Joker, instead. Something granted that those that don't know comics probably won't care about. But it did bother us. The ending itself was anticlimactic, but at least there was an ending. 1.) Cartoon sets, that make any high school musical look professional (and I'm insulting high school musicals even by mentioning them in this review). It's hard to get involved in a story, when your characters are working in an unbelievable back drop. 2.) Changes in the Spider-man mythos that were unnecessary, and actually harmful to the plot. For example, in the movie version even (which differs from the comic a bit), Peter wins the wresting match and the 1,000 dollars, only to have the promoter refuse to give him the prize money. When a robber takes the money from the promoter, Peter doesn't stop him, and that robber ends up randomly killing Peter's Uncle Ben. Thus the reason Peter feels so strongly about what he does as Spider-man. He feels he caused his Uncle Ben's death and needs to help others in repentance. In this version, Peter DOES get the money and comes home to find that his Uncle Ben has been killed by some non-connected carjacker. Huh? Why change that strong and wonderful motivation? In addition, it's established the Osborne's have no son. Why do that? First, why not have them with a son? It's good for conflict with Peter/Spider-man. Secondly, if you are not going to have them with a child, why go to such pains to point it out. It's silly and unnecessary. Sort of like saying "There's supposed to be something here, but there's not, so we are going to over explain it." 3. )Terrible villains. Oh my Gosh! Please lose The Sinister Six costumes, at least, if not ALL the blow up dolls. Gak. 4.) Spider-man not acting like Spider-man. At the quick and somewhat rushed climax of our little piece, Spider-man ties a rope around the Green Goblin's leg that is attached to the (cardboard) grand piano. An act we don't see him do on stage. And the assumption is that somehow Spider-man knew that the Green Goblin was going to decide to throw the piano off the Crystler Building, thus taking himself along for the ride and going "splat" on the pavement below. First, I don't think Spidey would kill the Goblin like this. It's not his character. Second, HOW did he know the GG would throw the piano off the building that far in advance to begin with! At this point, I was pulling some hair out. All of this being said, believe it or not, I still left the theatre not hating this show 100%. It has barely-- by a hair-- avoided being in my all time worst list of shows I've ever seen. There ARE a few reasons. The heartfelt performance of Reeve Carney as Peter Parker, the show stealing Green Goblin by Patrick Page, and the aerial stunts by the talented group of stuntmen. I had balcony seats in Row B, so as to fully see all the action, and it was fun to have Spider-man land on the platform next to us from time to time, as well as sneak through the seats to take off from the same platforms. The kids around us were completely mesmerized. And that was more fun to watch than the show itself. The wonderful Spider-men were also always staying in character, walking and moving as Spider-man would, and waving at the kids, much to their glee and delight. They were indeed the "friendly neighborhood Spider-man" come to life. But, are these few high points enough to make this show a "must see," having had it's last preview night at the performance I attended? I don't think so. The problem is that "Spider-man: Turn off the Dark," is schizophrenic. It has NO idea what it is? Is it campy? Is it serious? Do we want to look like a comic book? Do we want to look solid and real? And because it doesn't know, it moves from camp to pathos in such a clunky way that the audience doesn't know either. They just know it's not... right. It's the same with the Green Goblin. Although he was really The Joker in actions and word, he becomes the comic relief and almost a friend to the audience. The audience "likes" him. He is the only well-rounded character in the whole piece, going through tragedy and full transformation, establishing empathy as well as that "like" bit with the comic relief. And if the audience has begun to like your villain, you can NOT kill him off wantonly like they do here, without there being some redemption. And you certainly don't have your hero kill him in a cowardly way. I'm sorry folks, but that's Storytelling 101. Because of both of these very important things, and ALL of the above, "Spider-man: Turn off the Dark," is an incomplete and unfulfilled experience. I understand that this re imagined book of the show was reworked by writers Glen Berger and Roberto Aguirre-Sacasa, one or both with storytelling experience. I'm wondering what they changed. But what I'm wondering the most, is why didn't they change MORE so that there was a better story? I could also see nothing of Taymor left at all, from the supposedly disappointing first imagining, except the Arachne song, so I do wish I'd seen both to compare. Could it have been as bad as this? I for one was hoping to see at least a hint of the brilliance in "Spider-man: Turn Off the Dark," that I found in "The Lion King." That my friends, is an eye-popping, soul-touching masterpiece, which takes you through levels of emotion in a few hours, that I know, brings tears, and makes you address places in your heart that we often avoid. You leave that theatre with a spring in a step, humming the songs you just heard, and with some strange desire to do "something," well... good. You can NOT help but smile. I dare you. If there was anything like that in the original version of this Spider-man vehicle, they were remiss to lose it. Not even with another year of reworking, will "Spider-man: Turn off the Dark," ever be THAT. It has about as much substance as it's blow-up villains. It could have been so much more. Bottom line: If you have money in your pocket for a Broadway show, go see "The Lion King," while you still can. See it twice. If you want to see Spider-man, I'd take that $100 plus dollars, and go on the Spider-man 3-D adventure at Universal in Florida instead. It's a much more fulfilling ride. By the time in the musical when the giant cardboard Spider-man swings out three stories high to catch a giant cardboard baby supposedly falling from a conflagration warped cardboard house, even while my eyes were rolling back in my head, I stopped to think-- for the sake of the cast and the ticket buyers if nothing else-- that it was a pity that nobody found a way to save this show. 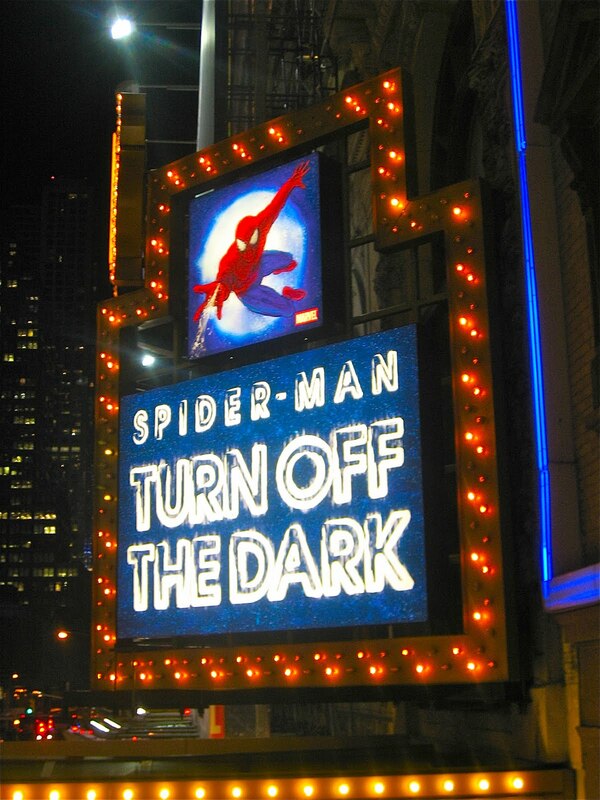 "Spider-man: Turn Off the Dark," is currently playing at the Foxwoods Theatre in Manhattan. In my eating foray's it seems that I have been neglecting the West Side! So sorry. I'll fix that right now! Mostly because the establishment known as Philip Marie in the West Village, has me on their mailing list....and enticed me with a wine and food pairing I could not resist: "Some Like it Red." Why not? It's an opportunity to introduce you to a restaurant where I can honestly say I've never had a bad meal. I first started going to Philip Marie because my friend plays Mardis Gras gigs there (oh how I love a place that supports live music in Manhattan). And I still go back for those when they occur, and bring friends in tow. Let's face it: Nothing beats fine Cajun food and a fantastic band together. Really, the food is so excellent and unusual at Philip Marie, that I'll take any excuse to visit. So, with my regular "Eating Manhattan" cohort, Ric out of town, I grabbed another victim as my dinner companion, and off we went on a culinary adventure. Philip Marie boasts of being a place for "New American Cuisine in the Heart of the West Village." 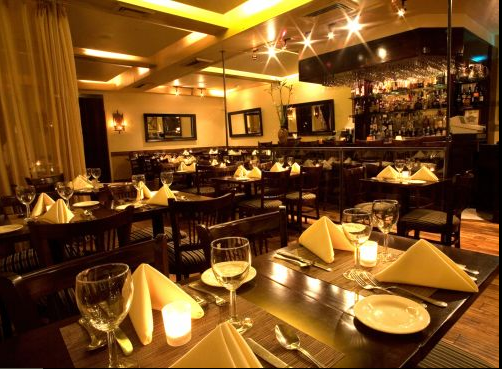 It is indeed a gem of a restaurant, with warm inviting decor, large windows, comfortable tables, nice acoustics, a welcoming bar, out of this world wine list, and fusion of flavors that I have found seldom in Manhattan, and certainly not at their reasonable prices. So you know you are in for an event when you walk through the door. The "Some like it Red," food pairing June 9th, was a double whammy for me. Great food assured, and Red wine, which is my favorite. No-brainer all around. Arriving before my dinner companion, I ordered Fried Green Tomatoes off the menu ($6.95), and when he arrived, we followed with Butternut Squash Soup ($6.50). Then we eased in for the main event! Note here that with the food pairings, a glass of wine is served to compliment each course. Half a pour. And the servings as well, are not huge. It's more like having Tapas. Little plates to compliment the wine. However, we have found that for a nominal fee,and quantities permitting, the kind folks at Philip Marie WILL let you order a second of anything you like. Organic Cactus Risotto with black truffle essence and crumbled Spanish Chorizo. Double Braised Beef Short Ribs glazed in Teriyaki and served with Sweet Potatoes, Mashed. Deep Fried Chocolate Truffles with Pear Sauce and Shaved White Chocolate. It seems that it is increasingly difficult to find good Fried Green Tomatoes. I know the ones my Grandmother made, and the ones my Mom still makes, are tangy and flavorful, without the need for a spicy mayonnaise to make them so. They are also tender and thinly cut, and I think the fried discs I've had both on a recent trip to Charlotte, and here at Philip Marie, are suffering from two things: Not being home grown tomatoes, or being allowed to soften, AND are cut way too thick. In short, no more fried green tomatoes for me. I give up. But, in Philip Marie's defense they were better than the two varieties I tried in North Carolina. The Butternut squash soup however, was served at the perfect temperature, and had a melody of flavors, and velvet texture, that would have me ordering it over and over again. A real winner. On the food and wine pairings, when we were brought our 1/2 pour of The Prisoner Red, we were told the "spicy flavor of the wine cancels out the chirizo, letting you enjoy the other flavors of the risotto." Our first words to each other were, "But we like the flavor of chirizo, and why would we not want to taste that. And why put chirizo in if you can't taste it." The risotto was interesting, albeit a little watery for me. BUT, The Prisoner Red is a wonderful, drinkable wine that had an amazing aftertaste. I will have it on my "Like" list for some time. But they were right. It did sadly cancel out the chorizo. Course Number Two in a word, was flawless. The double braised short ribs were tender and meshed with the flavors of the sweet potato mash. In addition, the Sticky Beak Pinot Noir seemed the perfect wine to go with the dish, and I really enjoyed the smokey flavor that sneaks up at the end. Course Number Three... I've had wild boar several times now and keep hoping for an epiphany. Though lean, the flavor never really comes out. Also, with this course, I was a little dismayed that sweet potatoes would be served twice in one session, and although these were supposed to have wild mushroom and fig sauce, it tasted exactly the same as the sweet potatoes served with the short ribs. I also wasn't crazy abut the Chianti Classico. The aftertaste being a little acidic. Course Number Four... pure heaven on a plate. Could not have been better, and small enough to not make you stuffed. You can not go wrong with Piper-Heidsieck, one of my favorite champagne Brut's. A few things to say about the staff at Phillip Marie. They are always wonderful. And that was still the case tonight. When it took awhile for our first course to come out, the person serving us, gave us a smiggen more of a wine pour for our trouble. We did not say no to more Prisoner Red. The most unbelievable part is this little adventure never breaks the bank. This particular wine and food pairing was only $32. a person. A wonderful culinary excursion once again. And a chance to put on a wine snob hat for an evening without the wine snob pocketbook. :-) And although the portions and pours are deceptively tapas sized, the cumulative affect has you leaving very satisfied. They offer their wine and food pairings weekly, and have many other specials and events throughout the month. I highly recommend this restaurant. Although I can pick at a few things here and there, they are consistently amazing, and you'll always find something extraordinary on the menu. It's funny how things take on a certain patina in your mind. For year's I've been extolling the virtues of Canter's bagels. You may have heard me lament when I've had to settle for Thomas's or some horrible dry, nameless variety, in my travels. But then, it's no secret: A good bagel is really hard to find, ya know. 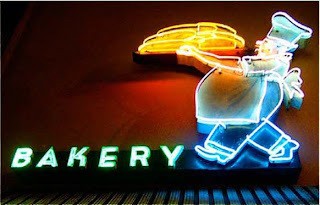 For many years, for me, the only REAL bagels came from Canter's on Fairfax in Los Angeles. Yes, yes, I know all the New Yorker's out there are crying "sacrilege." "Burn her at the stake." I'm unmoved. They say this every time. I'm not being disparaging to H&H or Murray's or Ess-a-Bagel. Calm down. But, hey, I lived in NYC for 15 years before moving to LA. It was a typical 2 bedroom LA bungalow. I could see the Hollywood sign from the front yard. On hot days, the shrubbery that embraced the old house, kept it cool, as if on ice, and shaded in a lazy, lovely way. I could never figure out where the breeze came from...Most of my fives years in LA, I'd leave the bungalow before the sun even came up, headed off to a commercial, a music video or a movie set. Whatever new job had fallen at the door... The 411 and a book of maps at my disposal. Oh for a GPS back then! I remember the house was a weird color-- some sort of avocado green. And the ancient beautiful Polish lady next door use to make a desert with pasta and raisins that smelled like heaven. Jerry was the first to take me to many places in LA to ensure my proper education now that I think of it-- The Formosa, the Hollywood Bowl, Barney's Beanery... and to Canter's for chopped liver and matzo ball soup. 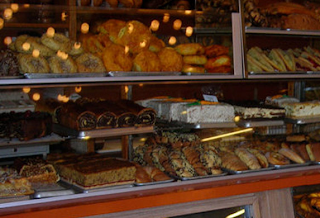 Canter's is an LA institution, founded in 1931. And for my NYC nay saying friends, it has it's roots in Jersey City. After losing his deli in the 1929 stock market crash, Ben Canter moved to California with just $500, and opened his new deli. I love a place with history. Jerry, first became acquainted with Canter's when he managed bands, who would often play in the adjacent bar added in 1961. Yup, Jerry had all sorts of tricks up his sleeve about the best places to go in LA, and I was certainly blessed to have him as my guide to old Hollywood. But then from the first time I met him, he had great advice. Thinking out of the box as it were. It was on the set of "Rush Hour." I was visiting a friend in the movie, and Jerry was working with the crew. As I scoped out the craft service table for a snack, and picked up a bagel, Jerry came up and offered. "Ya know, those are really great with cream cheese and salsa instead of jelly." A light bulb went off in my head. Synapses fired. "Really!" You don't have to tell me twice about a new way to use salsa. I tried it. It was good. But it seemed especially good on Canter's bagels. 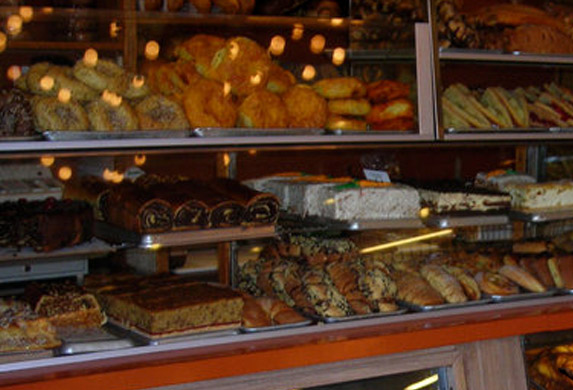 Later after moving to LA full time, making friends and connections, and working at numerous production companies in the area, nearby Canter's was always the place to stop to get food for production meetings and the like. And I admit that maybe sometimes I stirred the lunch choice in that direction for my own selfish ends. Yup, I'd never walk out the door without snagging a bag of the egg/onion/poppyseed variety to take home as well. My favorite. And, in truth, a part of my staple diet. And a great way to wake up before a 4 a.m. call. My habit developing, I'm sure, because I at the time, missed New York. Ironically, after moving back to NYC in 2003 to become an artist agent and resume building my publishing company, I'd often think back to Canter's and long for my bagel fix. Funny how that happens. Convinced utterly that these were the best bagels ever in the whole world. I even entertained the idea of having friends in LA fed-ex me a box, just so I could put them in the freezer. "Oh... to have an egg/onion/poppyseed with cream cheese and salsa again...."
Finally, after a convention in San Jose just a few weeks ago, I decided to take a road trip down Highway 1, visit some friends in Ventura, then fly to my next gig in Phoenix. There was something about the salty breeze and the way the light shines in California, that had me thinking about my old haunts again. My friends found it a little funny that I insisted on driving out of the way from our lunch in Van Nuys, all the way to Hollywood!! Believe me, it's not that far, but getting anywhere in LA by car is always an adventure. What can I say! They--the bagels-- were... uh... just not as good as I remember. I hate saying this. It's like the time I took my two nieces, Rachel and Amanda, to see the Statue of Liberty for the first time when they were younger, and their response was "It's not as big as I thought it would be." For one thing: They WERE smaller. Granted the Statue of Liberty has never shrunk. (Sorry Rachel and Amanda.) But my Canter's bagels sure have! I use to cut them in threes. I could barely cut these in twos. Secondly, the taste just wasn't the same. Even the marzipan seemed gritty? Or different. Or something! Darn it! A new recipe for my old faves? I don't know. But, as the days went by and I gave it some thought, I realized something. Maybe the bagels hadn't changed all that much. Maybe I had. I think back to the mornings in that little Avocado green stucco bungalow in Hollywood, the sun filtering through the windows, shadows from a palm cutting the floor, and myself sitting on that baby blue sofa in a completely quiet room, doing my morning ritual of drinking coffee and eating my bagel/salsa concoction. Thinking about the day and what was ahead. I think about the weekends on my boat in Marina Del Rey-- the vintage one that I was always fixing up. And having a little brunch of bagels and scrambled eggs and mimosas out on the deck. A fish hook in the water. Sea gulls overhead. And later, when I moved outside LA to the desert, and the landscape would slowly reveal each morning like a blanket being slipped away, I had the same breakfast...always...although timing getting to Canter's was a bit more difficult. But I did, the giant kitchen in LA as the scene of prep, replaced by a little country job overlooking brushy foliage, the quiet times punctuated with the roar of lions, bellowing from the animal preserve near by, like a symphony of feline virtuosos. This one baritone. This one the tenor. The floury boiled discs of dough were just a prop or a character, that happened to be in the same scenes as I. I loved them by association, and the senses they brought to my mind. That explains why, in some strange way, when I ate them now, they made me feel just a little... I don't know... melancholy. But then, there really is no reason to be, is there? Life is such a lovely thing... One adventure leads to the next...seeing what each day will bring. The surprise. Making new things happen. Nothing much one can do about that. Today, when I toasted the last bagel from my Canter's jaunt, albeit smaller. ( I KNOW it is!) I ate it slowly, with care, not dwelling on what I perceived as it's shortcomings or imperfections, and I gave a coffee toast to those lovely templates of place it helped me so vividly recall. Now I know, it wasn't the bagels that I missed so much. Maybe they were never that special. It was the time. That's all. Oosterveer "Buffy" Litho Marks First US Appearance at Wizard Philly! Philadelphia-- Artist Minck Oosterveer will be marking his first US appearnace in a big way, as a featured guest of Wizard World Philly, coming up June 17-19th. 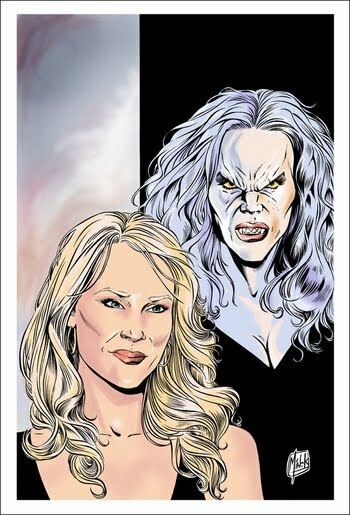 Featuring the likeness of actress Julie Benz, Darla From "Buffy," the Philadelphia Comic Con Buffy & Julie Benz VIP Exclusive Lithograph by Minck Oosterveer will be offered to all "Buffy VIP's." The print will also be available to other attendees for $20 at Minck's table in artist alley will supplies last. This wonderful piece measures 11x17 and will be limited to 500 copies. For more information, talk to Eva Ink Artist Group representative Constance at Minck's table or e-mail evaink@aol.com for more information. Minck's current work includes "Ruse" with Marvel Comics, as well as a Spiderman project coming soon! Other events scheduled to celebrate Minck's first appearances in the US include a night the Museum of Comic And Cartoon Art (MoCCA) in Manhattan on June 21st. Followed by an appearance at the Albuquerque Comic Expo June 24th-26th! HeroesCon a Buzz of Activity this Weekend! Charlotte, NC-- The Hornets Nest is going to be buzzing this weekend, as HeroesCon Charlotte starts off with a bang on Friday and continues through Sunday, as fans swarm around for one of the best comic book and comic art shows in the nation. Several highlights for the weekend include panels that take a look at the "Art of Nick Cardy," on Friday at 2:00. "The Art of Michael Golden" on Friday at 1:30, and a war comics panel on Saturday, featuring both Michael Golden ("The 'Nam) and Nick Cardy and others, which will also focus on the new Cardy book from Eva Ink Publishing. 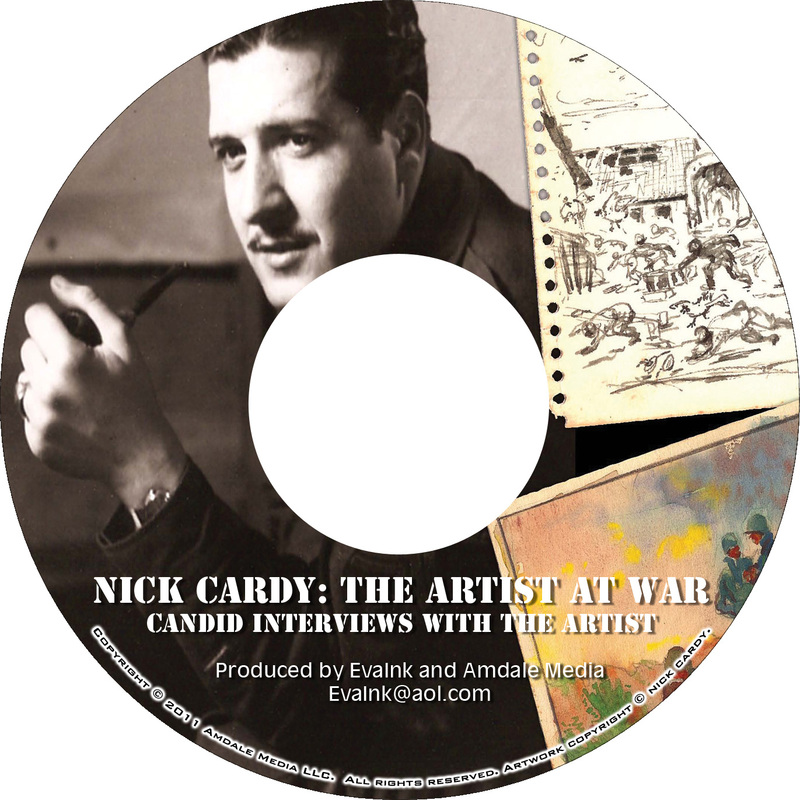 This much anticipated new book, "Nick Cardy: The Artist at War," recreates Nick's sketchbooks from his time in World War II, and shares his life in the war through his art. This will be the official debut for the autobiographical tome. And the book will be available at the show in both sketch and autographed versions. 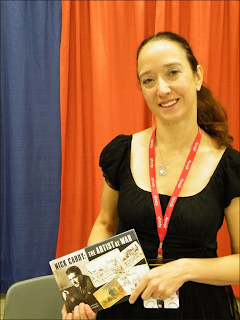 Came by and see either Nick Cardy or Renee Witterstaetter (Eva Ink) at their tables to get your copy. 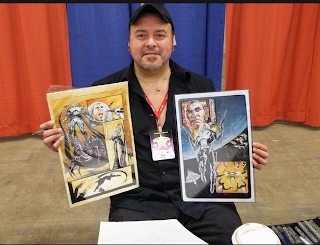 Amazing painter, Mark Texeira, will also be at the show. Known for his stunning work on "Ghost Rider," "Black Panther," "MoonKnihgt," and much more, Texeira will soon be featured in two new Punisher mini-series from Marvel Comics. Mark will be sketching and signing all days of the convention. Writer and color artist, Renee Witterstaetter, in addition to having copies of her new book "Nick Cardy: The Artist at War," at her table, will also be offering new books "Michael Golden: More Heroes and Villains," "Joe Jusko: Savage Beauty," and the new children's book "Kerry and the Scary Things." Other wonderful talent joining the show include: Rodney Ramos, Adam Hughes, Craig Hamilton, and way too many to mention here! Come see what makes this show….and this city.. so spectacular.